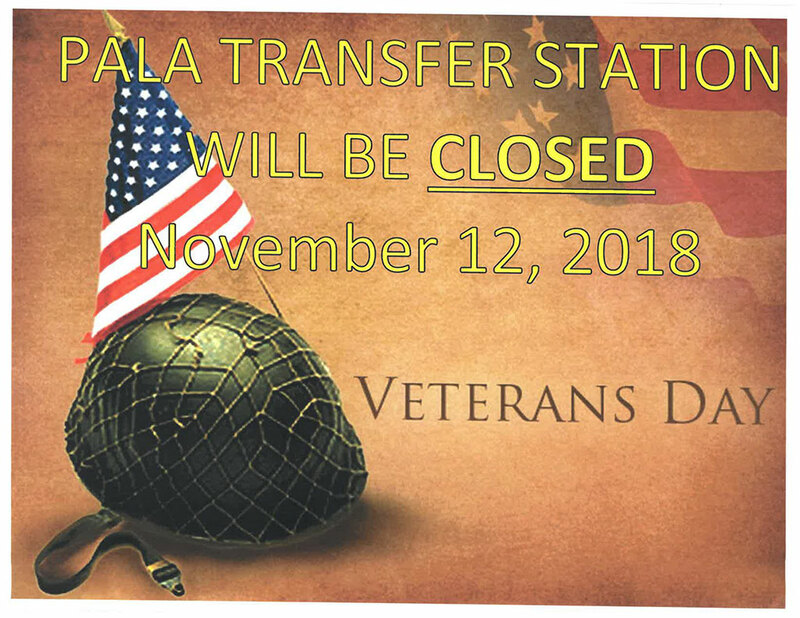 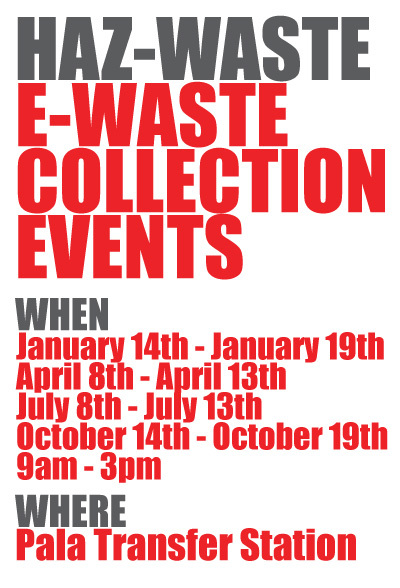 PALA, CA – In observance of Veterans Day, the Pala Transfer Station will be closed on Monday, November 12, 2018. Offices will reopen at their normal time on Tuesday, November 13, 2018. Please have a safe holiday weekend.